Each year Bob Barboza creates what he call a STEM dot. It is using the visual arts to support science. One of the most creative people I know is Peter Reynolds. He is an artist that inspires me. 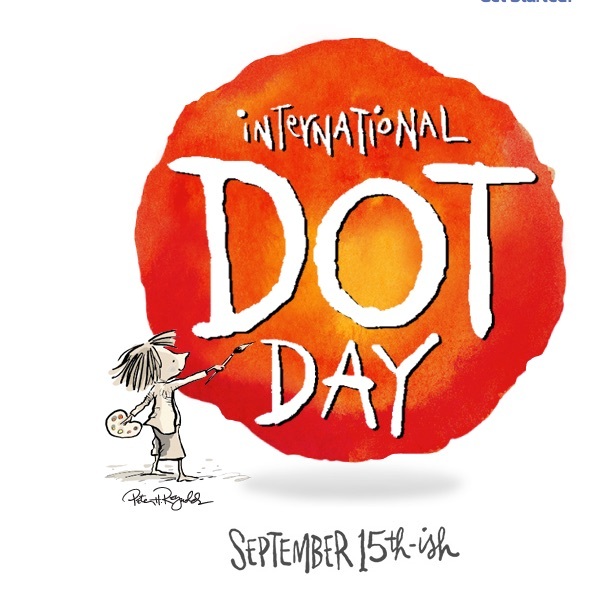 When he came up with the idea of having an international Dot Day, I loved his idea. Every draws a circle and you pot whatever you want in that circle. You can use pencils, pens, paints, crayons or anything else to get your ideas on paper. If you do a STEM (science, technology, engineering and mathematics) Dot. I want you to send it to me and I will feature it on Kids Talk Radio Science. You can send you dot by e-mail to Suprschool@aol.com. I want you to send it to me at Kids Talk Radio. Sign up now and celebrate Dot Day on or around September 15-ish – and be sure to share your news, photos, art and videos with us!